Forty years ago this week, a California congressman and a group of journalists traveled to South America to see Jonestown, a remote settlement created by an American church, and investigate reports of abuses of members. As the visitors prepared to return to the U.S., Peoples Temple gunmen ambushed them on a jungle airstrip, killing the congressman, Leo Ryan; three newsmen; and a church defector. The shooting triggered the mass murders and suicides in Jonestown of more than 900 people orchestrated by the Rev. Jim Jones. PORT KAITUMA, Guyana — “I feel sorry that we are being destroyed from within,” the Rev. Jim Jones had said as a tropical storm rained on the Peoples Temple pavilion. I wondered why it happened. My best guess is that Jones felt the press people weren’t fooled by the staged setup at the mission. After all, we had seen things we weren’t supposed to see. We demanded to see the locked buildings where some members lived in crowd, uncomfortable conditions. Layton later was taken into custody by Guyanese authorities who seized a .38-caliber pistol and turned it over to U.S. Embassy officials. Yesterday morning 100 Guyanese troops came by train from Matthews Ridge, walking the last several miles as a precaution against sabotage or attack. 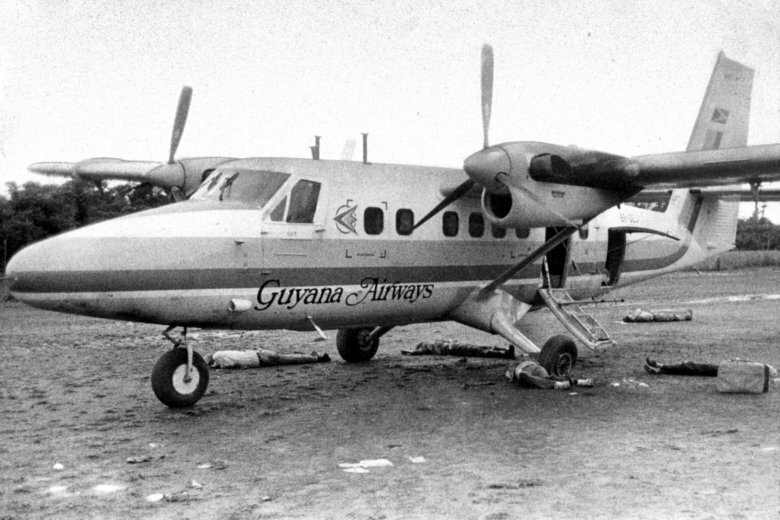 Then two Guyanese medical evacuation planes flew us to the capital city of Georgetown, where a U.S. Air Force C-141 took us to Andrews Air Force Base near Washington, D.C., stopping off on their way at the Roosevelt Roads Naval Base in Puerto Rico.